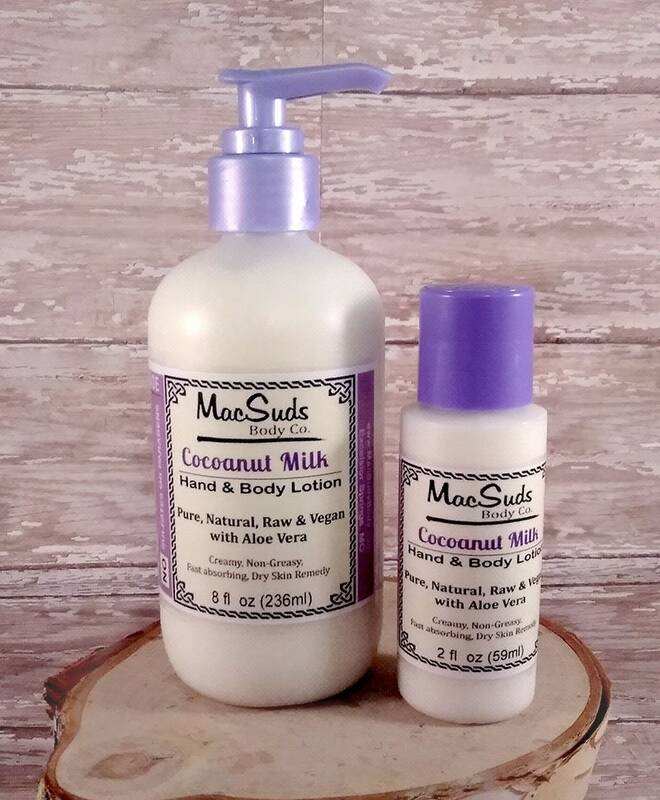 COCONUT MILK: When used for skin care, coconut milk can give soft and supple skin and a radiant complexion. **Aloe vera gel contains two hormones: Auxin and Gibberellins. These two hormones provide wound healing and anti-inflammatory properties that reduce skin inflammation. ... Additionally, in Ayurvedic medicine, Aloe is used to effectively heal chronic skin problems, such as psoriasis, acne and eczema. Rice Bran Oil for Skin, the Deeply Hydrating, Anti-Aging Ingredient. Also known as rice bran extract, rice bran oil is simply the oil extracted from the germ and inner husk of rice. It's similar to peanut oil, with high percentages of fatty acids—which, by the way, makes it a perfect skin moisturizer! I chose light weight oils so they will easily soak into the skin to moisturize and nourish without leaving a greasy feel. No Soy, Parabens, Sulfates, or Phthalates. Our lotions are dye-free and vegan. I hope you enjoy your vegan natural handcrafted body lotion as much as I enjoyed creating it for you. Please give my products a try. You have nothing to lose. And moist healthy skin to gain! Very nice! I'm loving it already!